OK, I agree that small is relative. But take a look at these homes. They’re so small you can’t take a picture except from above. And these folks aren’t living that way to make a point about sustainability. 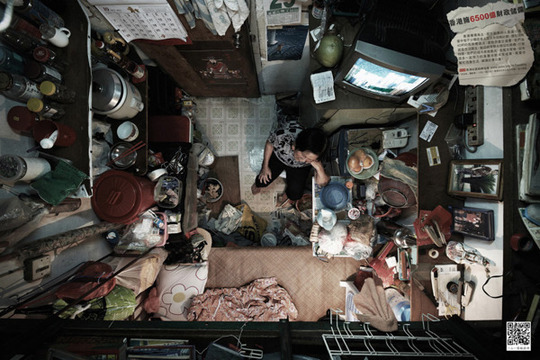 The photographs were commissioned by the Society for Community Organization, as a means of drawing attention to the housing crisis in the Hong Kong, a city with rents that average 35% higher than New York City and housing prices that average a staggering $1,300 a square foot. Posted in Cities, Housing, Small House and tagged Neighbourhoods, tiny apartment. Bookmark the permalink.